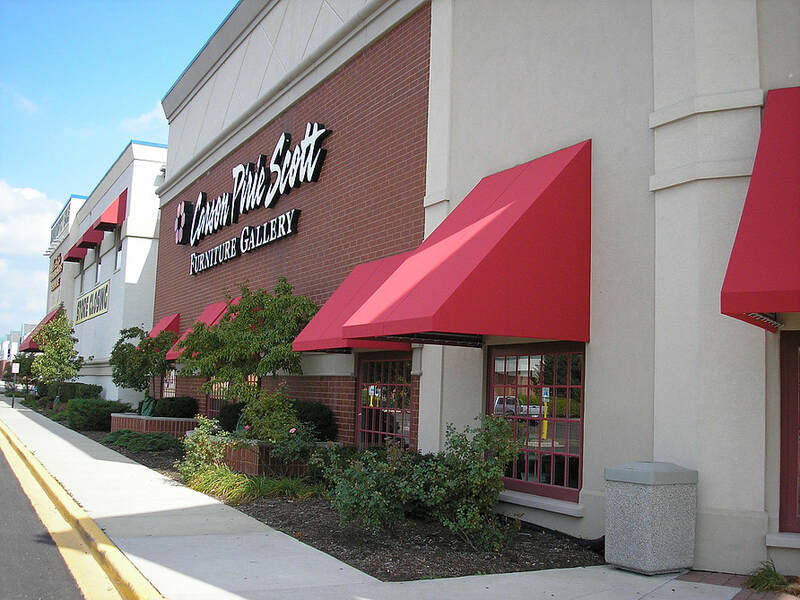 Our residential products are made and manufactured with the same materials and workmanship as our commercial awnings. Take a look at some of the examples below for projects on your home. 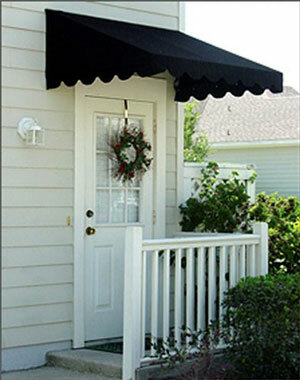 Door Awnings are designed to protect you and your home from the weather at your doorway. Door awnings are non-retractable and are designed to allow a door to open outward, while giving you full protection from the elements of the weather. 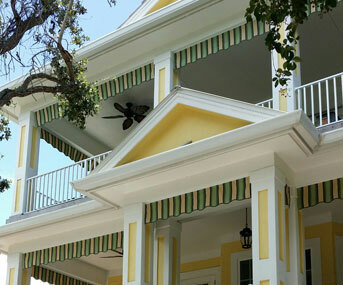 Valances can add a decorative look to a porch without obstructing your view. They can make a plain porch, look charming. Custom made valances can be made in any length and color. Window awnings are not only attractive, they’re energy-efficient. On a hot day, more energy is lost through one square foot of glass than through an entire insulated wall. Window Awnings will reduce the internal temperature of your home and will reduce your cooling energy bills. 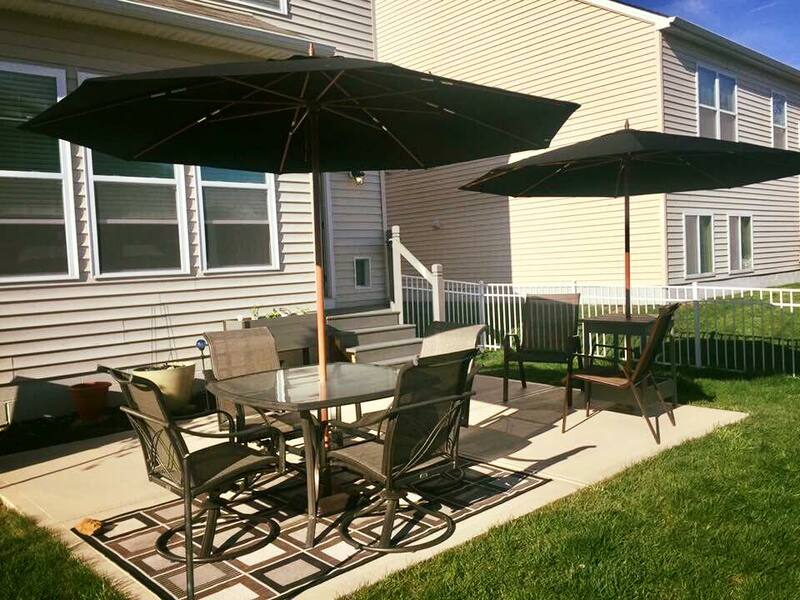 High quality umbrellas sure do look great in a backyard or on a patio or deck. They can be made in any color too. You can coordinate or match them to your awnings and outdoor furniture. ​Umbrellas will make you feel like you have a resort in your own backyard!